Incidentally, I’ve sold 5 of my patterns for this on Ravelry since posting there. I have joined a new organization! 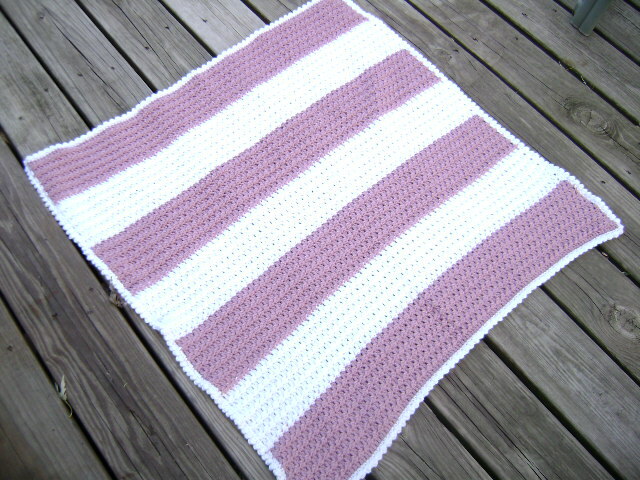 And here is the first afghan I have made to donate! 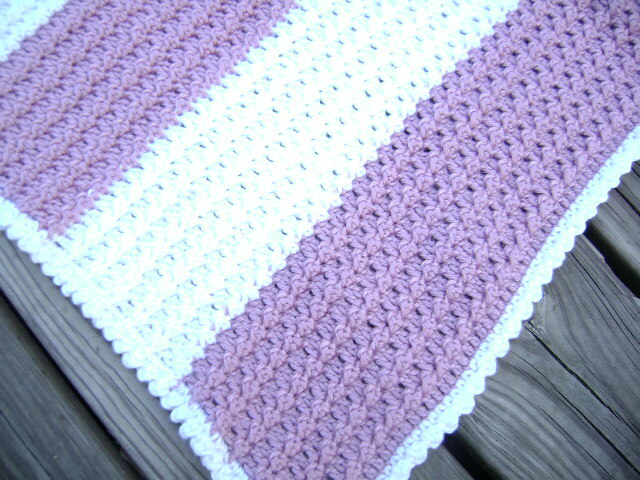 This baby afghan is a fairly simple pattern. 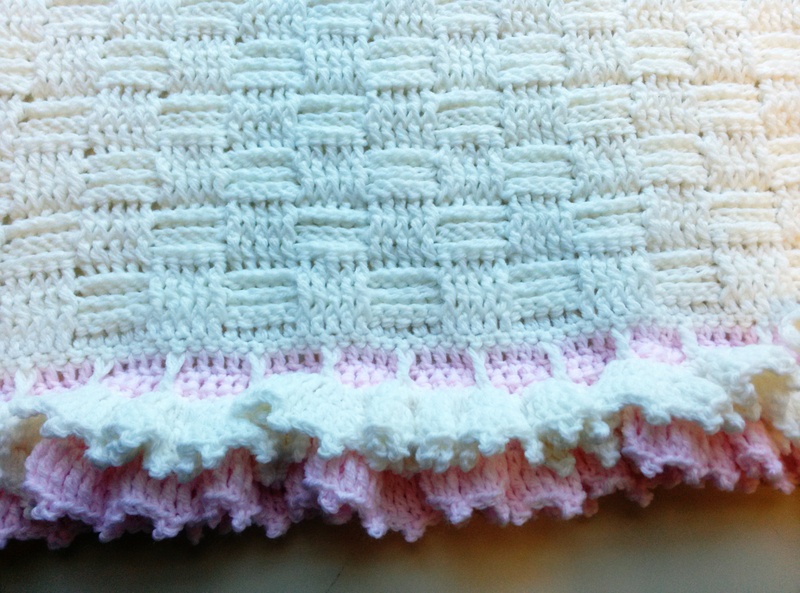 The pattern stitch is made by alternating a wrong side row of double crochet + slip stitch, with a right side row of straight double crochets. 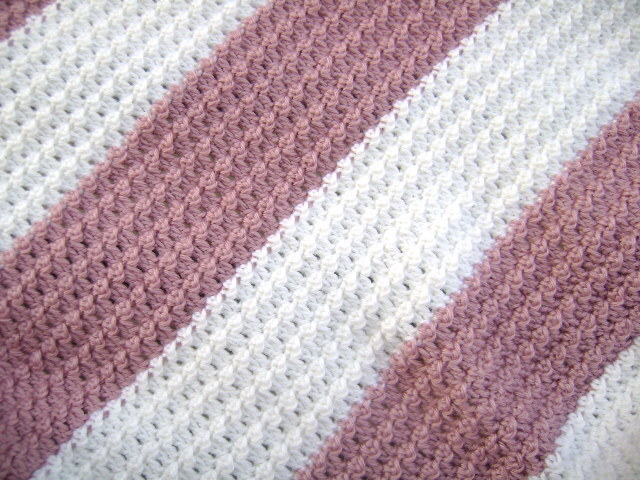 The combination of the double crochet followed by a slip stitch creates an interesting textured bobble type stitch. 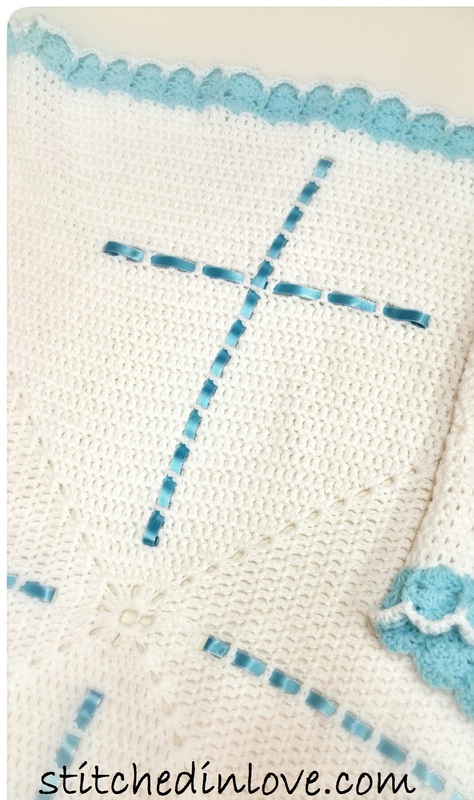 This stitch gives the simple 12-row repeat before changing colors some pleasant detail without complicating the design. 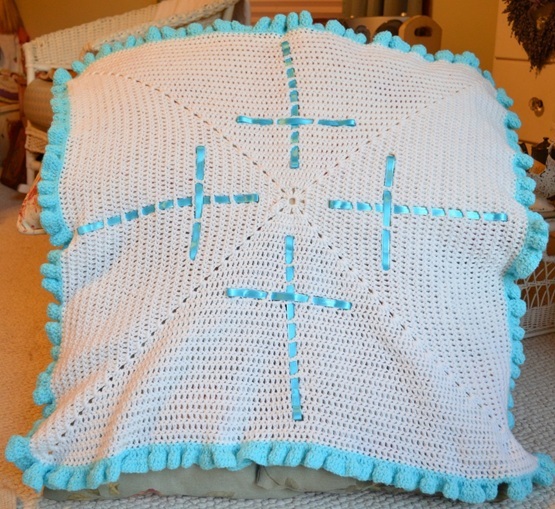 I continued the simplicity to the edging where I completed one round of single crochets in white, followed by one round of the pattern stitch. I have added the websites for both the National and Kansas City chapters of Project Linus to the Links menu if you are interested in more information!